Ikat, pronounced 'ee-kaht', is a word of Indonesian origin which refers to fabric that is patterned by binding the warp threads to resist dye before the fabric is hand-woven on the loom. The resulting motif has a "blurred" appearance that comes from the slight bleeding of the dyes into the resist areas. 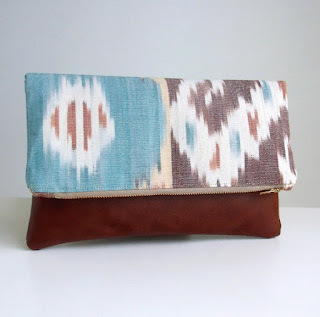 The ikat design is created by tying areas of the threads into bundles with wax, grasses or even plastic to prevent penetration of the dye in those areas. 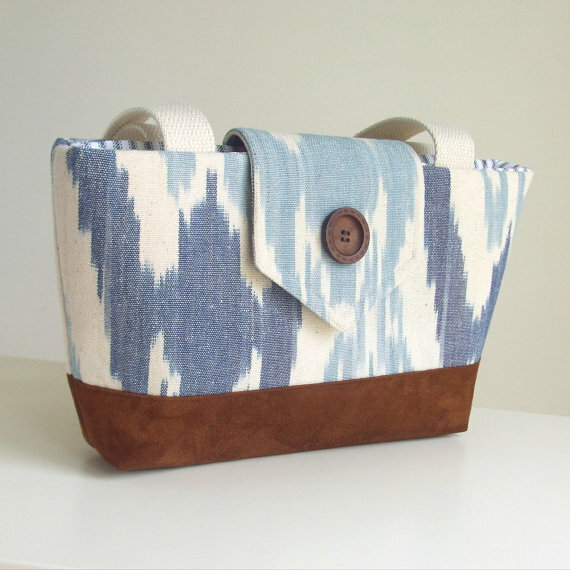 The weaver has to figure out where on the loose threads the dye should penetrate in order to create the desired pattern when it is woven. 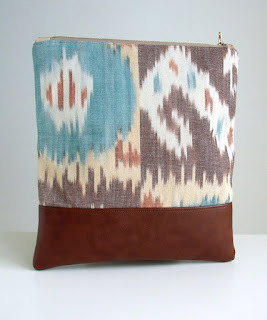 Ikat is one of the oldest forms of textile design and is a universal weaving style common to many world cultures. 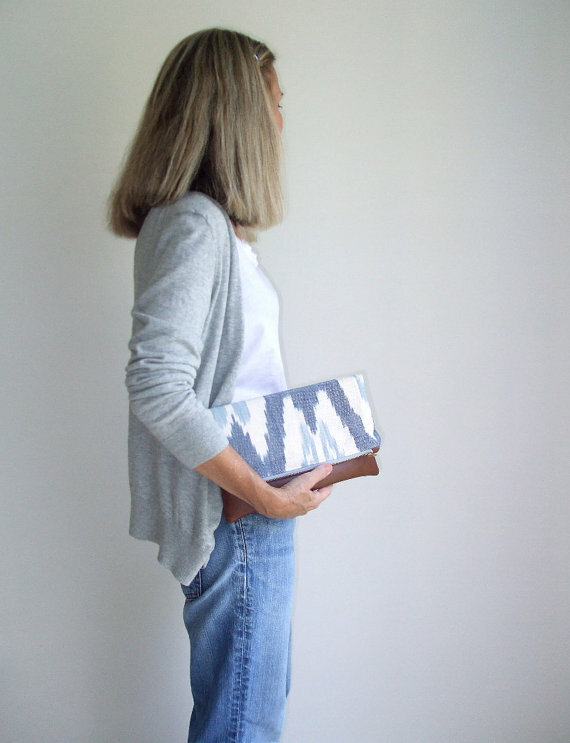 At the moment I have clutches and purses available in the shop made from ikat that was hand-woven in India. Come peruse them all at the Pesky Cat Designs shop. Your ikat clutches are modern and beautiful, Elisa. 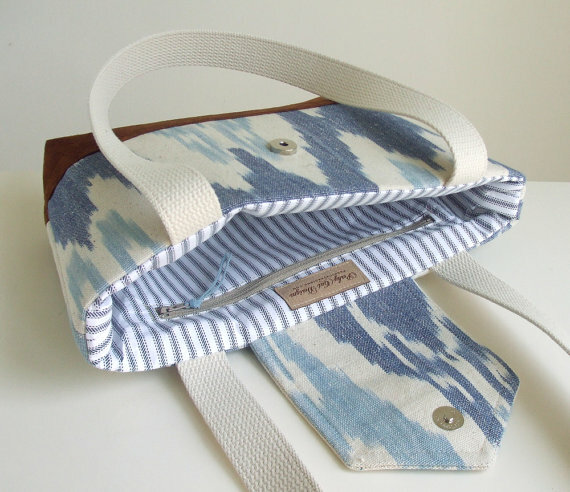 Love the blue and white ikat you use. And the clutch you made out of it is perfect!